It has been rightly said that “customer is the king” as all the strategies, operations and activities of an organization are today focused on pleasing the customers and keeping them happy in everyway. Organizations are willing to invest heavily in customer support services in order to fulfill the expectation of their customers. call centers outsourcing has become a trend in the industry as it helps organizations in keeping their customers satisfied. 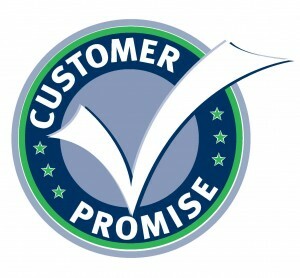 However, I believe that customer support should not be used just to keep the customers satisfied. Customer support services should be used to exceed the expectations of the customers and give them an experience that would just amaze them. Understand The Reasons For Call: The first thing that you should do is start looking for the reasons which make your customers pick up the phone and dial your contact center number. Make sure that you do proper research and find out the reasons that tempt them the most. Once you are finished with the research, you should start analyzing the list. There will be many reasons for which you could provide easy solutions. For example, providing help links over the website could reduce the number of calls, simplifying the IVR would also solve many issues. Now you should start refining this list and come up with ten most common questions that customers ask. Make a separate list of these reasons and provide this list to each agent along with most appropriate actions and answers for the same. Intelligent Routing: Routing a customer call to the same agent with whom he has interacted in past is also a great way of enhancing the level of customer services. This agent would have some prior experience of dealing with that particular customer and would be able to understand him better than most other agents. Thus, the issues will get solved more quickly and efficiently. Accurate Forecasting: Customers are most irritated when they have to wait over a call for talking to a live agent. Try to reduce this time as mush as possible. The best thing to do would be to improve the call flow forecasting and preparing according to the future demands. The better you forecast the requirements the better your preparations would be. You can also hire a specialist who could accurately forecast the call flow for you. Customer care support services could help you in exceeding the expectations of your customers and make them more loyal and trusted customers for you. However, it is also important that you partner with the right call center outsourcing services provider for your requirements as your partner would play the most important role in this. Whether you are partnering with a domestic call center or with an international call center, make sure you choose the right partner. Posted in Customer Services and tagged customer care services.